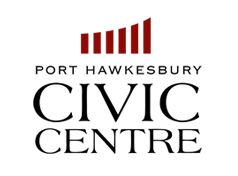 The Town of Port Hawkesbury provides dependable and accessible Municipal Services to our community and its valued residents. We ensure optimum maintenance and management of our services to benefit the community as a whole. We strive to enhance Port Hawkesbury's quality of life and sense of community through the effective delivery of this wide range of services. Port Hawkesbury Volunteer Fire Dept. The Port Hawkesbury Volunteer Fire Department was established to provide protection to the citizens of the Port Hawkesbury and the surrounding areas from the ravages of fire and other emergencies and to educate them in the benefits of fire prevention. They are committed to provide services to all citizens of the area, while keeping in mind at all times the safety and best interests of the Community and ourselves. The PHVFD is actively recruiting new members; If you like helping people, appreciate continuous learning; you may be an ideal candidate for a position as a volunteer firefighter. An application form can be found on the link below the picture. The Town of Port Hawkesbury's water is supplied from the Landry Lake Watershed. Landry Lake is located on the Port Malcolm Road east of the WTP in Point Tupper. The Landry Lake Watershed is operated and maintained by the Nova Scotia Department of Transportation and Public Works. The Landry Lake pumping station pumps water from the lake into an above ground storage tank. The water flows by gravity from the storage tank to the Town of Port Hawkesbury's Water Treatment Plant (WTP). The water that is supplied to the WTP is untreated and is called "raw water". The Town of Port Hawkesbury has partnered with the County of Inverness in respect to their Water and Wastewater systems. The County is erecting a water tower in Port Hastings and connecting to the Town of Port Hawkesbury's water distribution system. The Town of Port Hawkesbury will supply water to Port Hastings and surrounding area in addition to the Town of Port Hawkesbury. As a Nova Scotia property owner, you will receive a property assessment notice every year. Notices are mailed in mid-January. Your notice is an important document providing a dollar amount for the assessed value of your property, along with other details. The Property Valuation Services Corporation (PVSC) determines your property assessment and your municipality uses that to calculate your municipal tax bill. All property assessments are provided to municipalities in the form of an assessment roll. The assessed value reflects the physical state of your property as of December 1 and is based on market value as of January 1. 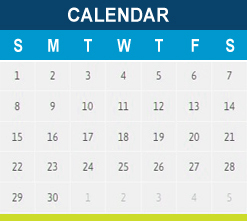 Assessments must be appealed within 31 days from the date that the assessments have been mailed. Contact the PVSC with specific questions at 1-800-380-7775 or fax at 1-888-339-4555. The Town of Port Hawkesbury does an interim levy and a final levy. The interim levy is sent out in April and is due June 1. The final levy is sent out July and is due October 1. Interest is charged in the amount of 1 ½ percent per month which is 18 % per year on overdue accounts. You have 31 days from the date the assessment is mailed to appeal your assessment. Nova Scotia introduced a capped assessment program in 2005, retroactive to 2001. Capping limits the increase in taxable assessments on eligible owner-occupied residential properties and resource properties, but not commercial properties. Prior to 2008, an application was required to receive the CAP. Starting in 2008, however, capping was automatic. The Town Council for the Town of Port Hawkesbury in consideration of the provisions of section 69 of the Municipal Government Act (MGA) has established a policy that provides that assessed owners of residential property whose family income is $23,000.00 or less per annum shall be entitled, upon application, to an exemption from taxation, up to an amount of $200.00. Income, for the purposes of this policy, is defined as the income of all family members of the same household. Income, more clearly defined, is the total income within the meaning of the Income Tax Act (Canada), but does not include an allowance paid pursuant to the War Veteran’s Allowance Act (Canada); or pension paid pursuant to the Pension Act (Canada). Applications may be picked up at the Town office. The deadline for receipt of applications for a tax exemption is July 15 of the current year, and each subsequent year this policy remains in place. A deed transfer tax is applied in the Town of Port Hawkesbury which is one and one-half percent (1.5) of the sale or value of the property transferred. The minimum bill shall be the Based Charge. The Town of Port Hawkesbury shall pay to the Water Utility on or before June 30, 2016 the sum of $324,003. The Utility may furnish water to any person requiring a supply thereof for the construction of a building or other works. The person shall deposit with the Utility such sum as may be determined by the Utility as is sufficient to defray the cost of making the necessary connection to any water service of main together with the cost of the meter to be installed to measure the water consumed. Upon completion of the work and the return of the matter to the Utility, a refund will be made after deducting the cost (if any) of repairing the meter and of testing the same and payment of the base and connection charges and the consumption rates in respect to such installation. Per hydrant per year $200.00. Whenever the use of any fire hydrant is desired for supplying water for any purpose, except those of the Fire Department for fire use, the Utility may grant a permit containing such terms and conditions as it may provide, including arrangements regarding supervision of the opening and closing of the hydrant, and a service charge for commercial consumers of $100.00 for connection and disconnection and consumption charge for the amount of water used, as estimated by the water utility, at meter consumption rates. When water service has been suspended for any violation of the Rules and Regulations of the Utility, such water service shall not be re-established until a reconnection charge of $50.00 has been paid to the Utility. If reconnection is outside of regular working hours, the charge is $200.00. The fee shall be $100.00 when meter is installed or water is turned on. The fee shall be $200.00 if this occurs after the normal hours of the Utility. The Utility shall charge a $50.00 fee for whenever a customer, for any reason, requests water be turned on at any premises. This fee shall be $200.00 if water is turned on after regular working hours. Whenever a customer, for any reason, requests that the water be turned off from any premises, a charge of $50.00 shall be made for turning off the water, and no additional charge shall be made for turning it on again when this is requested unless such request is after regular working hours of the Utility when a fee of $200.00 shall apply. Where an appointment has been made by a customer to have a water service hooked up or a meter inspected, water turned on to a property, or other visits to the property for the inception of maintenance of water service to the property and the customer fails to keep the appointment or the plumbing is not completed to allow for installation of a water meter and the Utility’s staff have to return to the property, there may be a charge of $50.00 for each visit if, in the judgment of the Utility, it is required. The Town of Port Hawkesbury has constructed a new WWTP. The WWTP is a "Sequencing Batch Reactor" (SBR) technology; the plant was constructed in partnership with the County of Inverness and funded through the Canadian Infrastructure Program. The plant receives wastewater from both Port Hawkesbury and Port Hastings wastewater systems. The plant is located on North Reeves Street between the Town of Port Hawkesbury and Port Hastings. The WWTP has been in commission since April 2007.